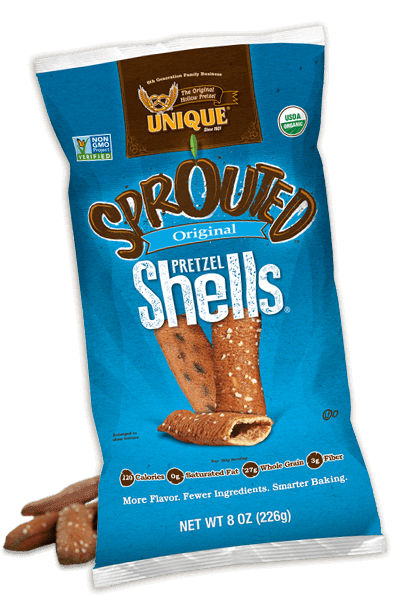 Sprouted Pretzel Shells are our Sprouted "Splits" pretzels transformed into a crispy pretzel pillow that leaves your mouth in a state of bliss. This feel-good food is made with a nutrient rich wheat flour that your body treats like a vegetable and digests easily. A Good Source of Fiber, Diabetic Friendly, and Lactose Free! No: Added Sugars, Artificial Colors, Flavors, Malts, Trans Fat, Preservatives or Additives just all-natural goodness! 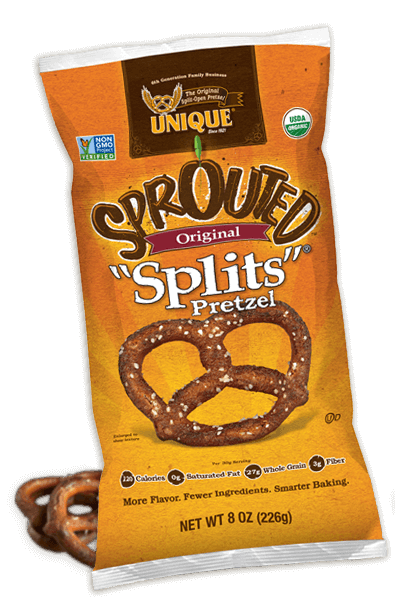 Sprouted "Splits" are the tasty wonder made with nutrient rich wheat flour that your body treats like a vegetable and digests easily. Our artisan process bakes in a hearty all-natural flavor along with the crispy bubbles & crunchy crevices that make "Splits" Unique.